Buildings of banks and financial companies on Lake Geneva in Geneva, Switzerland. Switzerland’s private banks, used for decades by the world’s wealthy to hide money and avoid tax, are pushing for extra legal protection of client information that could halt a much-heralded exchange of data with dozens of countries. The Alpine country is preparing to dismantle bank secrecy next year when it begins sending information about its customers’ accounts to foreign tax agencies. But Switzerland’s multi-trillion-dollar financial industry is seeking new safeguards to protect bank data against misuse that could expose clients to crimes such as kidnapping or blackmail. Wealthy clients have pulled tens of billions of dollars out of Swiss bank accounts because of a worldwide crackdown on tax evasion following the global financial crisis last decade. That culminated in the Automatic Exchange of Information program fostered by the Organization for Economic Cooperation and Development (OECD), which aims to ensure that offshore accounts are known to authorities. The participation of Switzerland, the world’s largest center for overseas wealth, in the data exchange agreement was heralded at the time as a major breakthrough in ending tax avoidance. 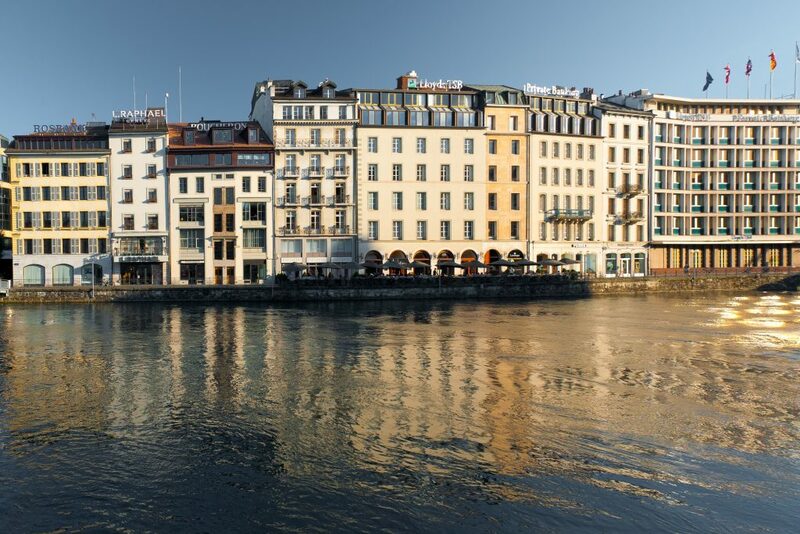 Banks in Switzerland are “fully committed” to implementing the Automatic Exchange of Information, said a spokeswoman for the Swiss Bankers Association, the main banking lobby. But they are lobbying to add an “activation” clause that means information would only be handed over to a country if two criteria are met — a level playing field with other financial centers, and an assurance the data will be used properly. They say giving information to countries in regions such as South America or Africa, where data protection standards can be weak and corruption rife, risks it falling into the wrong hands. In 2018 Switzerland is due to start swapping information with 38 foreign tax authorities, including all European Union countries, and with a further 41 from 2019. The proposed clause would apply to the 2019 batch of countries, among which are several emerging markets such as Brazil, Mexico and Russia. “We want to be sure that when we provide information that it does not get misused or compromise a client’s security,” said Boris Collardi, chief executive at Julius Baer, Switzerland’s third-biggest private bank behind UBS and Credit Suisse. The Swiss government will send to parliament a dispatch, which contains its proposals on the exchange of information with these 41 countries, by July 5. Parliament will then be asked to decide on the implementation of these plans. Mirabaud expressed confidence the government supports the clause, despite lobbyists for transparency saying it is a back-door attempt to continue bank secrecy rather than a genuine move to prevent criminality or persecution. A spokeswoman for the State Secretariat for International Financial Matters, an arm of the finance ministry, signaled the government would consider halting transfers of information. “If there are concerns about how the data will be used in a specific jurisdiction, Switzerland could look at taking any of the measures provided for in the multilateral framework governing the automatic exchange of information,” she said, referring to steps that include suspending the data exchange with a country. Campaigners against secrecy are crying foul, however, and accuse the Swiss of trying to allow the wealthy to keep cash hidden. Pressure on Switzerland built after a U.S.-led crackdown starting in 2008 publicized practices used by its bankers to keep money hidden from tax authorities, from smuggling diamonds in toothpaste tubes to hiding documents in the pages of [a magazine]. This U.S. clampdown and the push by the OECD to bring in global rules on exchanging tax data between countries means that Switzerland handing over information to Europe and the United States is unavoidable. Data from the Swiss National Bank shows a sharp decline in U.S. money in Swiss accounts. U.S. customers accounted for 161 billion Swiss francs ($165.3 billion) of bank deposits in 2006, but that had more than halved in 2015. In the meantime, the size of deposits from many emerging market countries has gradually increased. Mark Herkenrath of Alliance Sud, a group that campaigns for transparency, is skeptical about the true motivation. “For a lot of Swiss banks, a big part of their business is breaking away because money from the U.S. has dried up. The temptation now is to continue taking money from developing countries,” he said. The Paris-based OECD, which will police whether the exchange of information is working, is optimistic that Switzerland will honor the deal. But it stands ready to act in case the Swiss banks drag their feet.